Small upgrade I have had my eye on for quiet a while was the Lightskin seat post. 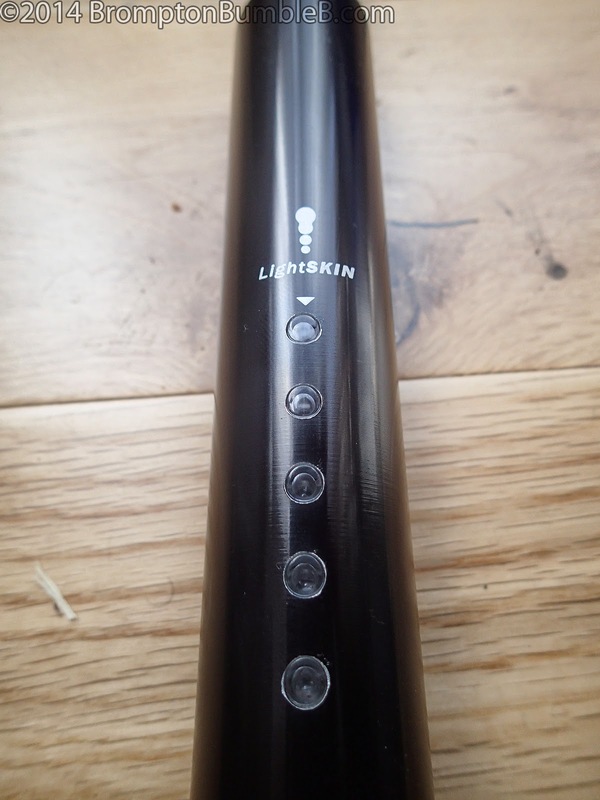 Back in June 2013 I actually won a Silver Lightskin Seatpost in a competition (Blog post here). It was a nice surprise and I did use it for a little while. But I had always had my eye on a black seat post to keep in line with BBB's styling so sold it after afew months. I always promised BumbleB that I would get a black version when I had the funds together. 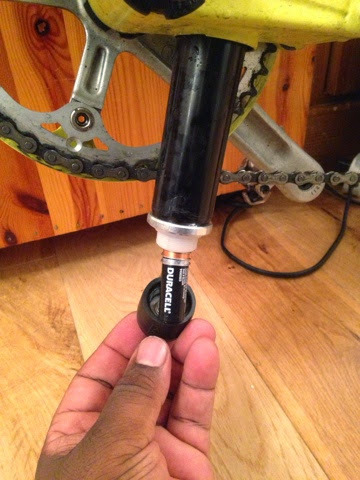 The batteries are inserted at the bottom of the seat post and has a big rubber end for protection too, so changing the batteries is easy. Short video of the different lighting sequences of the Lightskin seat post. Good for an emergency backup incase your main rear light is out. I personally wouldn't use it as my main rear only though, just not a wide enough beam but can't be stolen or forgotten as a normal rear light. 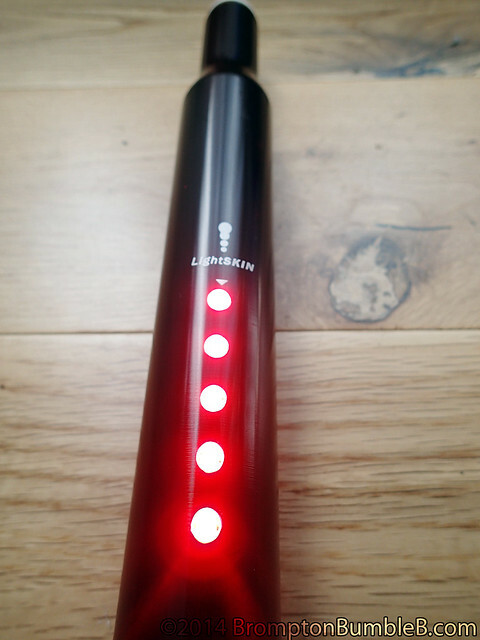 Got mine from rad-cafe on ebay £59 (UK based ebayer), can even pick up in Central London. So I am thinking of getting one of theses as an xmas gift to myself for my brompton, i love gadgets. I was wondering if its something you still use or did it fall out of favour? Still use BBB on a daily basis. I don't have or need a car for the most part so the Brompton is perfect. Once you got one you won't know how you lived without one. Trust me a lot of my readers & bromptons friends have said this. Best purchase of hey have ever mad.